They say a dog’s work is never done, and that goes doubly so for a police dog. 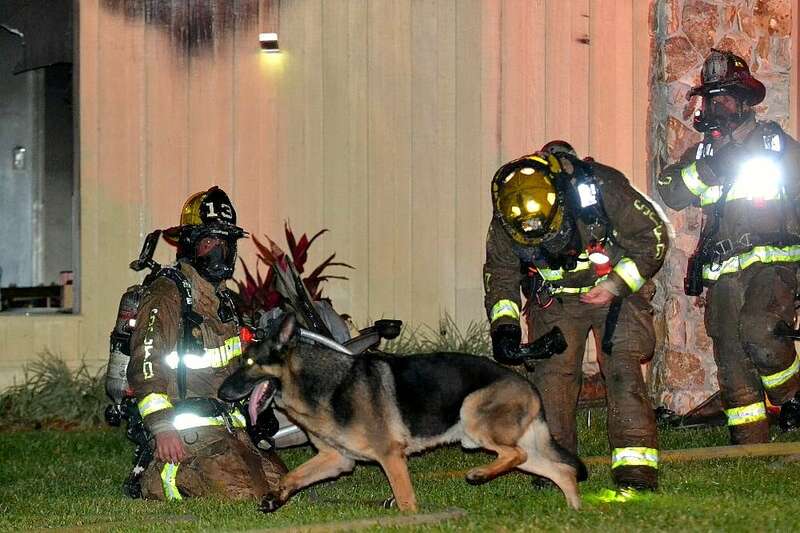 A family’s German shepherd, a retired K-9 named Maxx, led firefighters through heavy smoke to the two small children that were trapped inside their blazing home, saving their lives. Using furniture on the porch, they broke the front windows of the Longwood, Florida home belonging to military veterans Margo and Brent Feaser. “One of the neighbors saw an occupant in one of the rooms and picked up a table and smashed through the window, all the windows acutally, and pulled the woman to safety,” Seminole Sheriff’s Office Chief Deputy Dennis Lemma told News 13. Firefighters arrived moments later and pulled Brent to safety. 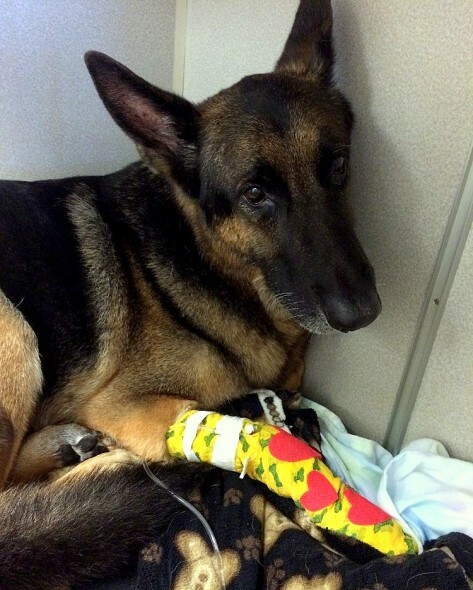 But his four-year-old son and two-year-old daughter were still inside, along with Maxx. The heroic dog led firefighters through the smothering smoke to the children’s bedroom. All of the family members, including Maxx, were taken to various hospitals for treatment of their serious to critical conditions, but all are expected to recover. 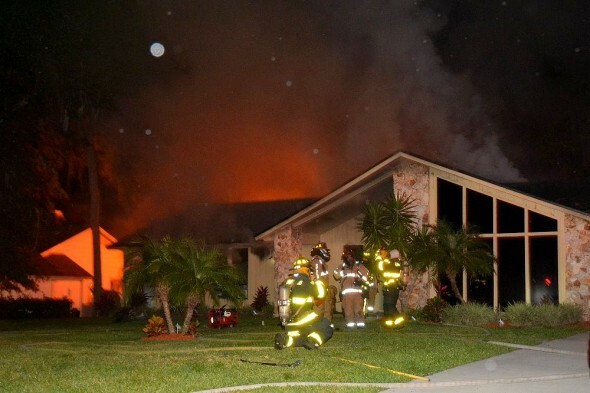 “We are grateful to the neighbors who jumped into action, and we especially thank the firefighters who selflessly entered the burning structure and risked their lives for the Feaser family,” said Sheriff Don Eslinger. A fundraiser has been set up to help the Feaser family cover their medical costs and find a new home. If you would like to donate, please click here. Checks and money orders may be made out to “Seminole County Sheriff’s Office Employee Benevolent Fund” and sent to 100 Bush Boulevard, Sanford, FL 32773, attention: “Feaser Family Fund.” Anyone with questions is asked to call 407-665-6880. What. A dog Great job !! A soldier…never off duty ?? A Very Brave Beautiful Dog. Good Job. Nice story bad compositional journalism. Way to go, Maxx!! Nothing like the love of a German Shepherd. Heroes come in all forms!! Way to go Maxx. Even when they are retire they never actually stop helping and protecting. I wonder what caused the explosion? Shepherd are the best and the brightest (and also the sweetest)! Oh good boy, such a good working boy; biscuits and toys all around! Even though retired but still know what responsibility is. Another reason for the quote I so proudly use, “Where Angels Fear to Fly, K9 Leads the Way!” Well done Heroic 4 Legged Brother! Thank you and gratitude also to our heroic firemen!!! God Bless you all! Great dog, always on the job. 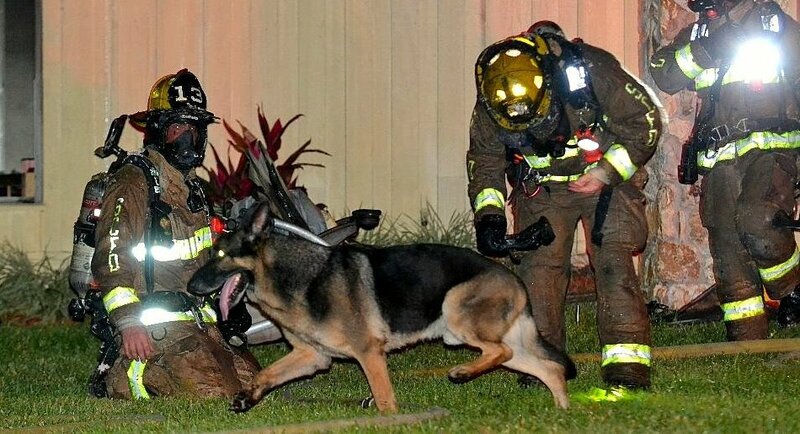 God bless this brave, heroic dog! like soldiers, public service members including fire fighters and police never really retire..neither do police dogs! Heros are for life. This was on my stepson to be’s area in Longwood where Jewel lived in Florida. All still in serious condition. Is anyone else having problems opening pages from Life With Dogs. I keeps closing down on me on my desktop. That’s a good looking pig. Smart too. That’s a good boy!!!!! 🙂 HERO! Thanks to the dog who’s only semi-retired. What a Boss!!! I love German Shepherds!!!!!! Of c ourse! Animals rule, teach us how to be the best we can. Jay Luckman not ur max? ? What a wonderful, beautiful DOG! !